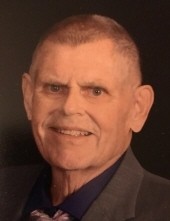 Robert W. "Bob" Steinke, age 75, formerly of Plymouth, WI, passed away on Saturday morning, March 30, 2019, at Gulf Coast Medical Center in Fort Myers, Florida. He was born on May 26, 1943 in Plymouth, Wisconsin, a son of the late William and Miriam (Carpenter) Steinke. Bob attended Harmon Grade School and graduated in 1961 from Plymouth High School. He served in the U.S. Navy from 1961-1963, during the Cuban Missile Crisis. On August 26, 1967, he married Joan Waldschmidt at St. John Lutheran Church in Plymouth. The couple resided in Plymouth most of their married life until 1997 when they bought their winter home in Fort Myers. They became snowbirds until 2011 when Fort Myers became their permanent residence. He was a former member of Redeemer Lutheran Church in Plymouth and is a member of Faith United Methodist Church in Fort Myers. He and Joan were the Communion Stewards and served communion every Sunday until illness forced him to step aside. Survivors include his wife Joan of Fort Myers, one son; Michael (Shellie) of Mission Viejo, CA, one daughter; Susan (Rich) Young of Port Washington, WI, one grandson; Bradley Steinke of Mission Viejo. He is also survived by two sisters; Lois Marino of Temperance, MI and Carole (Dave) Rackow of Nampa, ID, brother-in-law; Leo (Kay) Waldschmidt of Sheboygan Falls, WI, sister-in-law; Charlotte Waldschmidt of DePere, WI. and two very special grandchildren in heart, Alex and Sammi Lien. Also survived by many nieces, nephews, other relatives and friends. He was preceded in death by one infant granddaughter; Grace Young, his mother and father-in-law; Reinhard and Mabel Waldschmidt, one nephew; Mark Rackow, one sister-in-law and brother-in-law; Jean (Harvey) Borkenhagen and three brothers-in-law; Vince Marino, Charles Waldschmidt and Jim Peterson. Following Bob's wishes, cremation has taken place and a Memorial Service will be held at Faith United Methodist Church at 10 A.M. on Tuesday, April 9, 2019 with Pastors Dennis Lewis and David Stauffer co-officiating. Friends may call at the CHURCH from 9:30 A.M. until the time of services. A celebration of Robert's life will be held July 7, 2019 at Suchon Funeral Home and Cremation Services in Plymouth. Target gift cards may be given as a memorial for Robert so grandson Bradley can shop for toys and games for the children of “Make A Wish” of Orange County California. Bradley has been doing this for 6 years. That will make Grandpa Bob so happy. The Suchon Funeral Home and Cremation Services in Plymouth as well as Gallaher American Family Funeral Home in Fort Myers has been serving the family. For online condolences, please visit www.suchonfh.com. To send flowers or a remembrance gift to the family of Robert W. Steinke, please visit our Tribute Store. "Email Address" would like to share the life celebration of Robert W. Steinke. Click on the "link" to go to share a favorite memory or leave a condolence message for the family.